Search the Synthmuseum.com Classifieds for this instrument. The Bit 01, a rackmount 6-voice polyphonic MIDI module, was very similar to the Bit One, Crumar's first "Bit" instrument. Although it was programmable by parameter numbers on it's front panel, it was much easier to program than you would think. This was largely due to its front panel diagram (pictured below). Each voice on the Bit 01 featured two DCOs (Digital Oscillators, switchable between triangle, sawtooth, and pulse waveforms, as well as noise on DCO1), a resonant VCF, two LFO's (switchable between triangle, ramp-up and square waveforms) and a VCA. 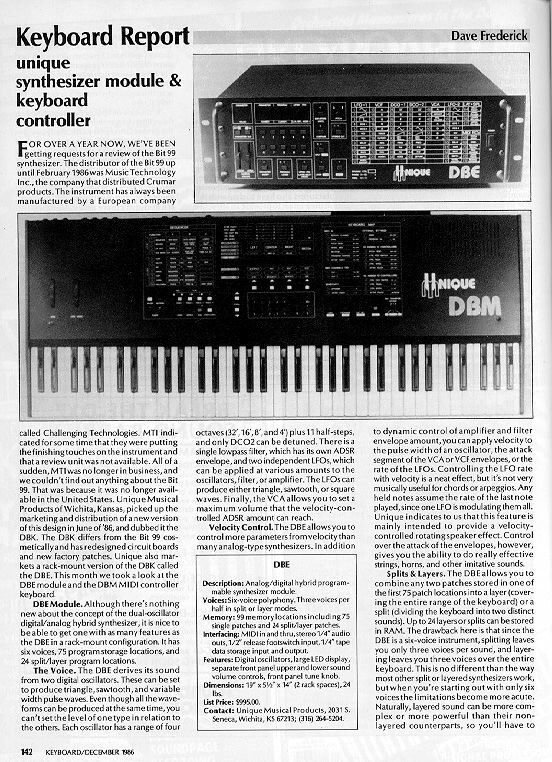 The VCA and the VCF had their own ADSR envelope generators. The Bit 01 featured a split and layer functions that allowed two of its patches (the "upper" and the "lower) to be played at the same time or together, limiting each patch to three voices. The "upper" and "lower" voices each had their own output. The Bit 01 was marketed in the USA by a company called Unique. 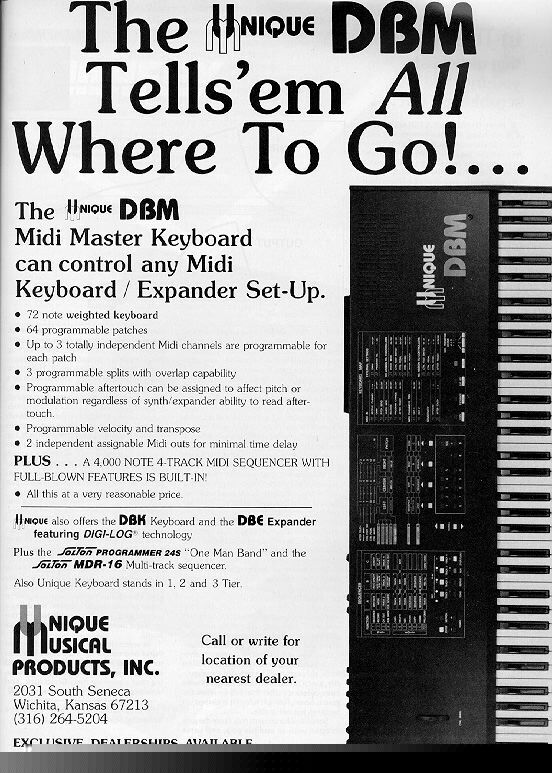 Their version of the Bit 01 was called the "DBE" it was introduced with a matching MIDI controller called the "DBM".